Sir Archibald Denny (1860-1936), 1st Baronet, was a partner in the family shipbuilding business, William Denny & Brothers of Dumbarton. He was awarded an LLD by the University in 1911 and he founded a prize for students of Naval Architecture the following year. 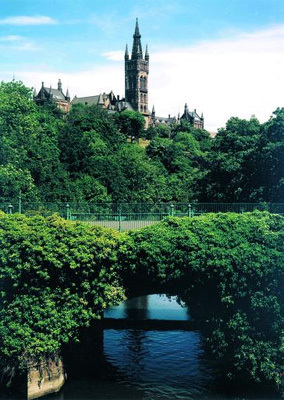 Born in Dumbarton, Denny became a partner in the family-owned business in 1883. He was involved in developing the world-famous ship model experiment tank at Leven that year, and as the partner in charge of technical developments at the shipyard he was closely associated with Denny's international reputation for innovation and high quality ship design. He became a technical consultant to various Government departments and served on many industry committees and commissions involved in setting and investigating technical standards in the industry. He was created a baronet in 1913.